Secure your battery or battery box to your RV, boat or vehicle. Secures any battery or battery box. Webbing is mildew, shrink, and UV resistant. Chrome plated hardware is rust resistant. 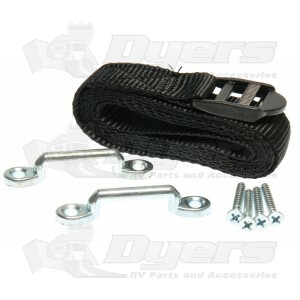 - Mounting holes are spaced 2-1/16" apart.